Waterless Car Wash is a revolutionary soap-less car wash that cleans on any automotive surface. Waterless Car Wash cleans, polishes & protects without using water and protects your vehicle from airborne contaminants. Waterless Car Wash can also be used on chrome, glass, dashboards and door panels. Just Spray-on and Wipe-off with a clean soft microfiber towel. Waterless car wash formula will penetrate the dirt, lift it up and off the surface so it can easily be wiped away. Waterless Car Wash is VOC, Green and Biodegradable. Set your Alerts for Car Care Compounds in Karachi and we will email you relevant ads. 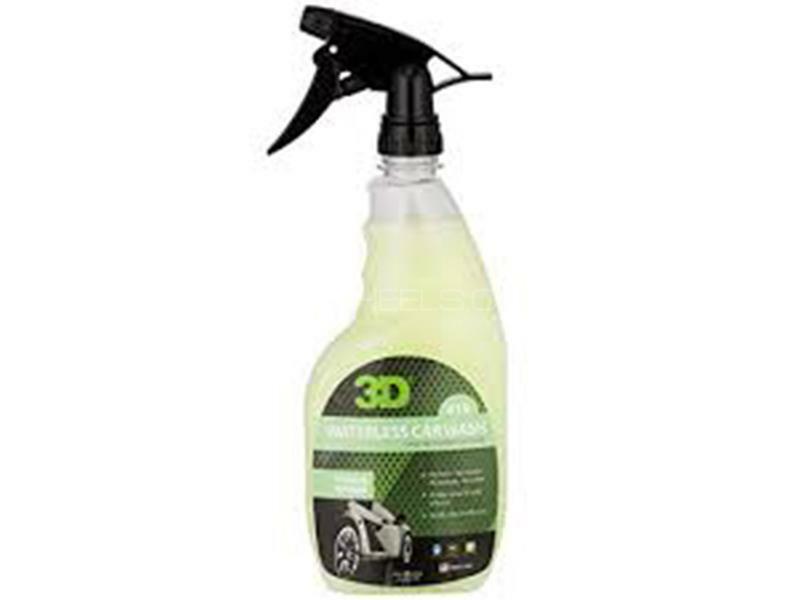 Hi, I am interested in your auto part "3D Waterless Car Wash 24oz - 419" advertised on PakWheels.com. Please let me know if it's still available. Thanks.